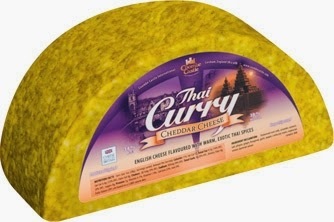 The Cheese Chap: Flavoured cheese: anyone for Thai curry cheddar? Flavoured cheese: anyone for Thai curry cheddar? 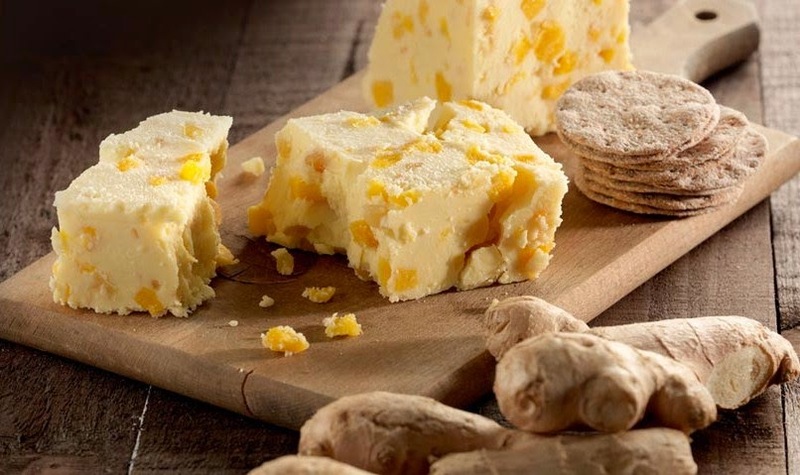 Earlier this year Waitrose ran a clever social media competition encouraging shoppers to come up with new ideas for flavoured cheeses, which the public then voted for online. 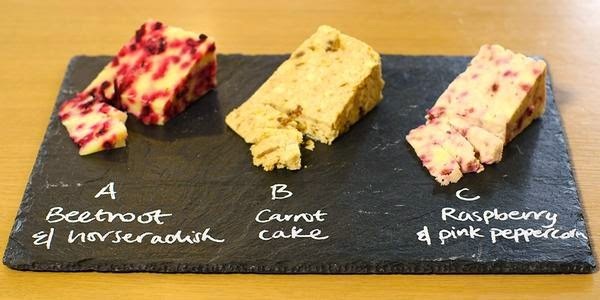 The final shortlist included three cheeses: Raspberry & Pink Peppercorn Wensleydale, Carrot Cake Wensleydale and Beetroot and Horseradish Cheddar. 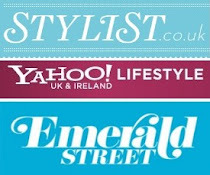 The one that got the most votes would then be listed in Waitrose stores. Now, I'm generally an easy-going (cheese) chap, happy to unwrap a Dairylea Triangle as much as the next man or woman. I've even sung the praises of some flavoured cheeses in the past, but there is a line that should not be crossed. And all three of these cheeses are so far over that line that they have become little blurry dots of strangely coloured dairy on the horizon. I'm not the only one who thinks so either, judging by the numerous snarky and very funny comments that the competition attracted on Twitter. Anyhoo, the winner of the competition was Beetroot and Horseradish Cheddar, which is pretty tame compared to some of the cheese abominations that have been launched down the years. My all time best/worst flavoured cheeses. Poor old Wensleydale is routinely mucked about with by big cheese companies witha fetish for cranberries, but this one surely takes the cracker. Chocolate has no place in cheese. 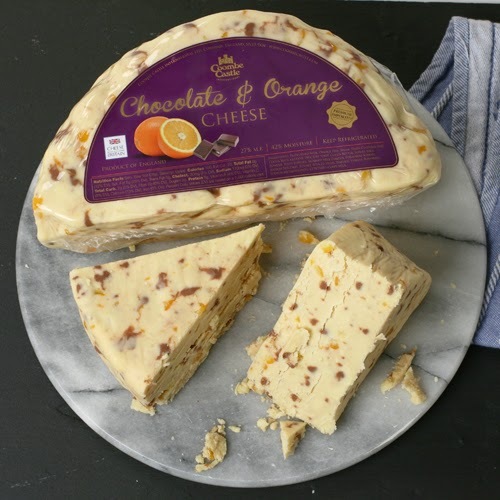 Apparently this brown cheese “encompasses everything about Christmas – indulgance (sic), the finest ingredients and moreish toffee flavour”. I have nothing to add. Nothing. I found this in my parents' fridge a few years ago. I'm pretty sure dad was just winding me up, but I didn't like to ask in case he wasn't. "Tantalise your taste buds and treat them to a taste of the Far East" is the how the strapline for this flavoured cheddar goes. 'Tantalise' is not the word I would use. Surely the ultimate in #flavouredcheeseporn. 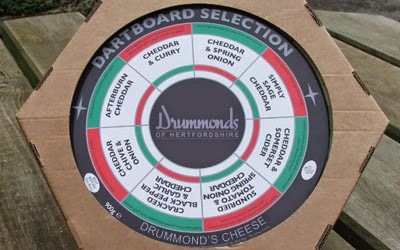 An entire dartboard made from an array of flavoured cheeses, including cheddar and curry, and 'afterburn' (shudder). I have many questions about this, such as, how do they make it? Who buys it? And what are you meant to do with it? But mainly, why? WHY? Not strictly a flavoured cheese, but it reaches similar levels of wrongness in my book. 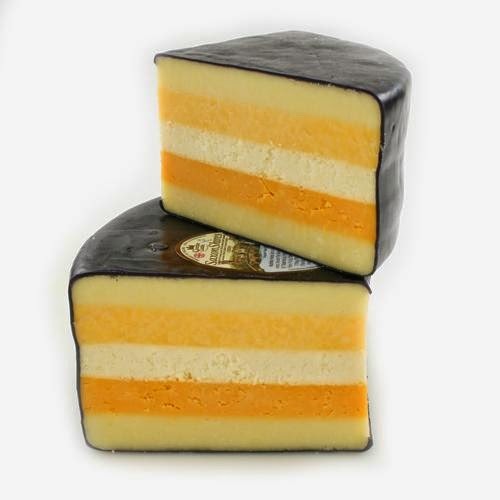 Cheddar, Cheshire, Derby, Double Gloucester and Red Leicester are laminated together to make a single cheese comprising 'attractive' multi coloured layers. I wouldn't cut five slices of different cheeses at home and then cram them all in my cheese hole in one go (well not often anyway), so please don't do it for me. Would love to hear of any other flavoured cheeses that you think top these. Let's build a cheese hall of shame! The worst I've ever heard of has to be the turkey-flavoured cheddar that had bits of sprouts, carrots and dried fruit in it. Seriously. I defy anyone to even think about it without bile rising in their throat.